Now I know some car manufacturers are not laughing at all. This new Mercedes Benz 2019 Giggard (G-Class) is making people go gaga for Benz. The interior alone is a no brainer and Benz fans are loving it so much. Guys is time to double your hassle. Only the interior photos of this car have been revealed and it's absolutely gorgeous. It's a complete package with leather, brushed aluminum, carbon fiber and 2 large screens. The standard model will come with an analogue gauge but you can option the 12.3 inch digital instrument cluster which also comes with the 12.3-inch infotainment screen. 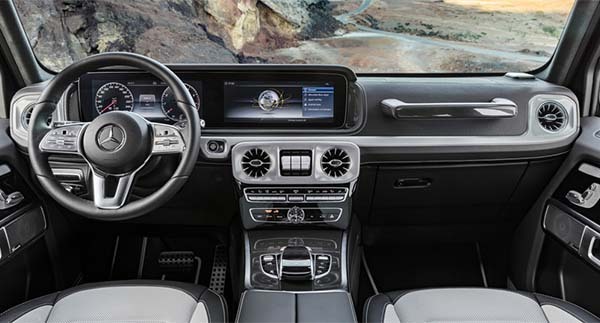 It gets optional 16-speaker Burmester surround sound system and massage seats while featuring the standard grab handles which you can hold so the speakers or vigorous massage don't blow you off your seat. 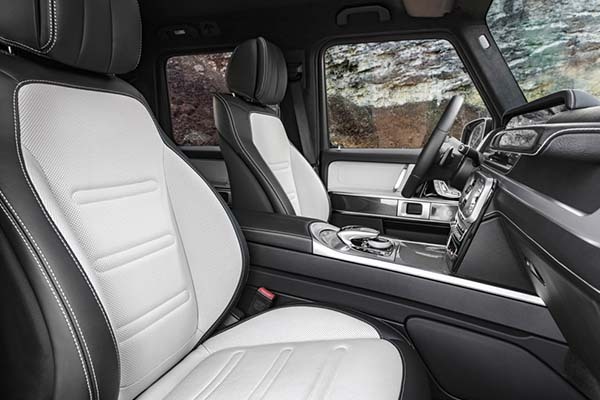 The new G Wagon will be larger than the outgoing model.. so expect a larger interior space especially the leg room which has always been a challenge.